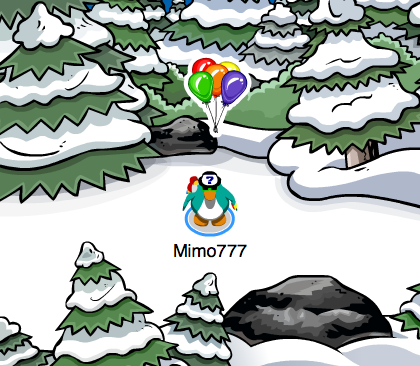 Club Penguin Cheats by Mimo777 Club Penguin Cheats by Mimo777: Club Penguin Pin Cheat - BALLOON BUNCH PIN! Step 3. Go to the back by the trees. My name is Waves1324. On the Beta Team there is a new test server. It has new chat features! It will be taken down on Friday at 3PM PST. Click the sign on the fish burger stand to get a stove. The inside of the trash can for a comfy crab. The window in the Captain Cutout for a feed bucket. The first star on the water trough for a Back Comfy Chair. The plant on the boss desk for a computer. The grates on the third locker for a classroom desk. That pin must be for the Fair. Can't wait! See? It say that there are pins hidden, not pin. 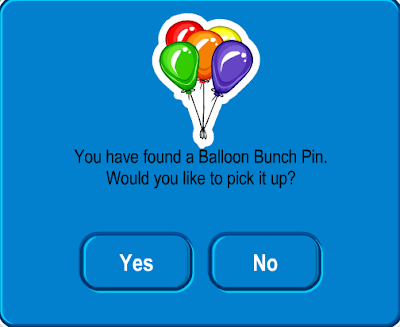 Is this really bug, or there will be two pins hidden each week from now on? But for now, there`s only ballon bunch pin on CP. hey mimo, when you go to the club penguin home screen (the one with all the famous penguins)there is a little video about the new puffle launch app that is coming out.